Winter is pretty but dull at the same time. It is boring to stay at home because of the weather and having a little bit green at home will definitely help to freshen up your space and make you believe – spring is not that far away. Hence, there are many people choose plants as gifts in this season. And a nice planter is something can’t be missed! In this post, we handpicked 10 unique handcrafted planters which are not only practical but artistic as well. Some of them are recycled/re-purposed and some of them are handcrafted and painted. 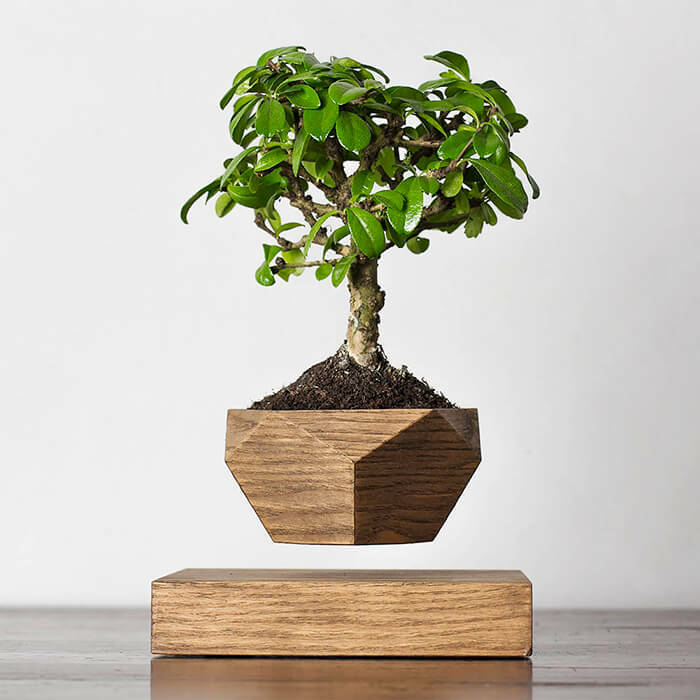 And you can even find some geeky design, for example the Levitating Bonsai Pot. How cool is to have your plant float in the air? 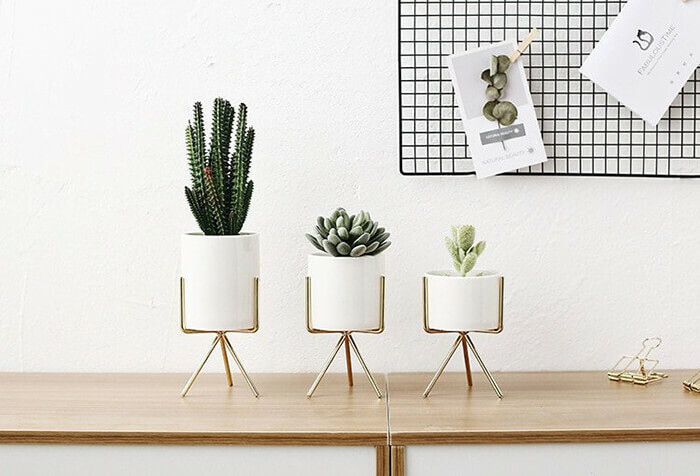 With those super cool/cute/modern planters, when you display a plant in one, you’re not only adding a bit of healthy green to your home but a work of art, too. It’s a zero-gravity system allowing you to cultivate your favorite plants in mid-air. Your plants will be nourished with 360 degrees of sunlight exposure, allowing them to grow straighter and healthier, all while floating supernaturally. 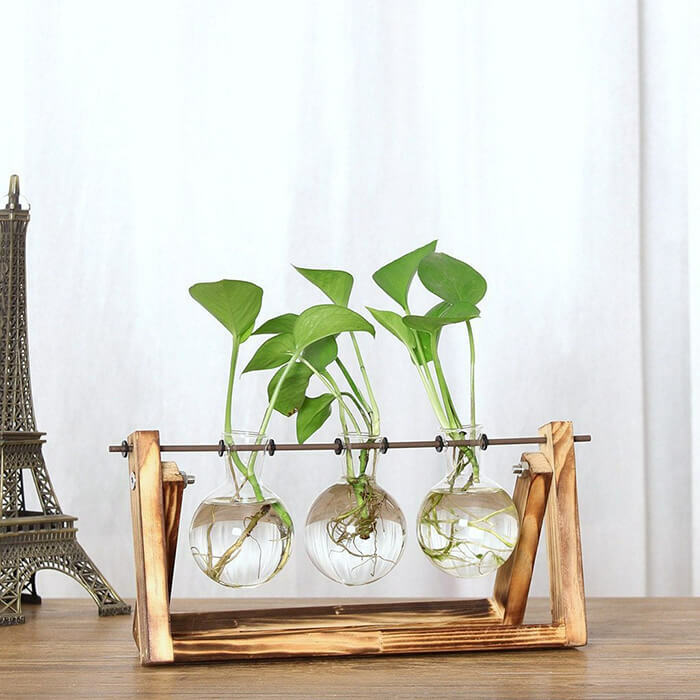 This Wood and Glass Terrarium Planter comes in 3 Sizes. 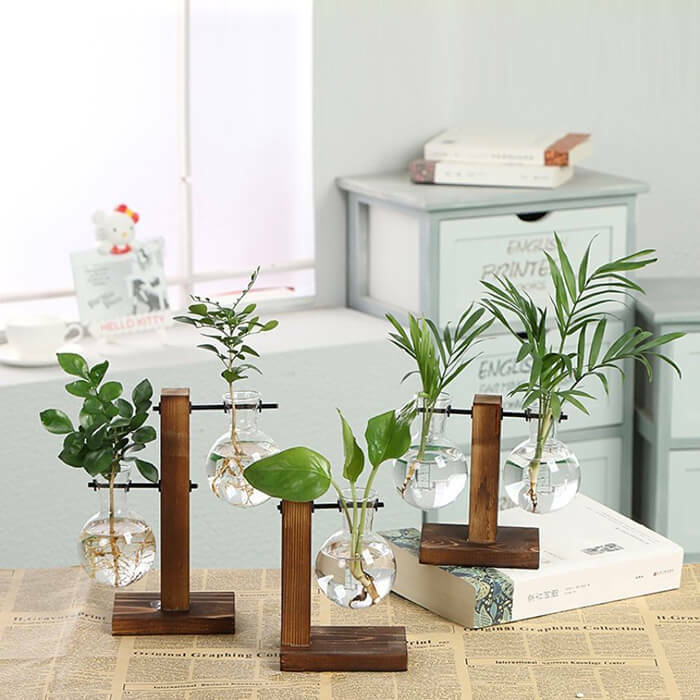 This Wood and Glass Terrarium Vase comes in 3 Varieties. Modern, clean, and minimal ceramic planters. 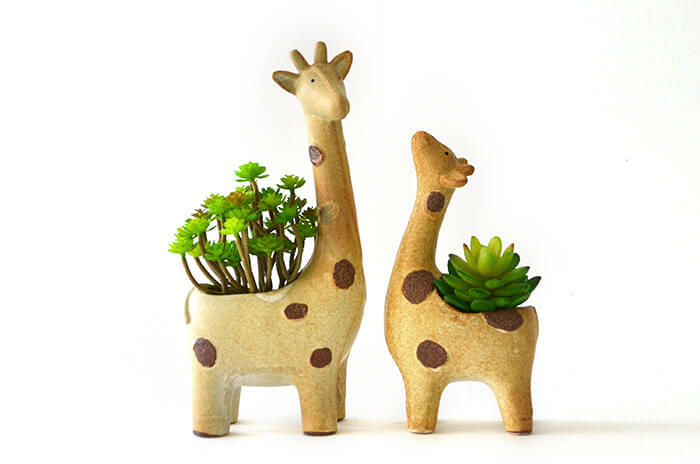 Perfect for indoor plants such as succulents, cactus, air plants, and more. Comes in Black, White, or Gold frame. 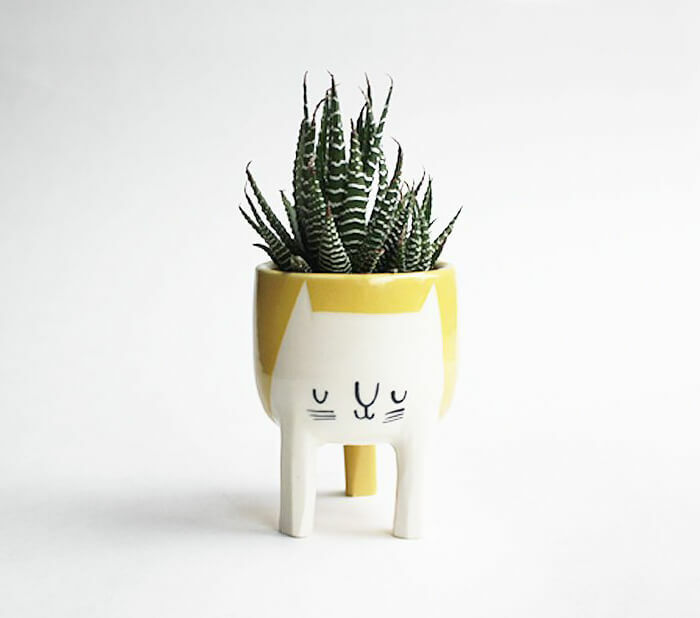 The small sized cat planter, perfect for little plants, herbs or succulents! A great seedling starter pot too. This planter has three legs and a drainage hole in the bottom. This process makes the pieces dishwasher and microwave safe, and non-toxic as always. Each measures approximately 3.5″ wide by 4″ tall. 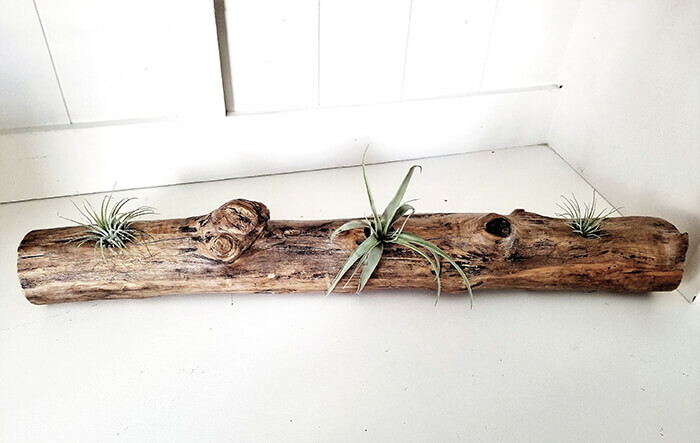 Tabletop driftwood piece, crafted with air plants in mind. This product has three narrow holes for air plant display and measures approximately 22″ in length and 2.5″ in diameter. Please note that the air plants are not included. Small vase measures 4 inches tall and 2.5 inches wide. 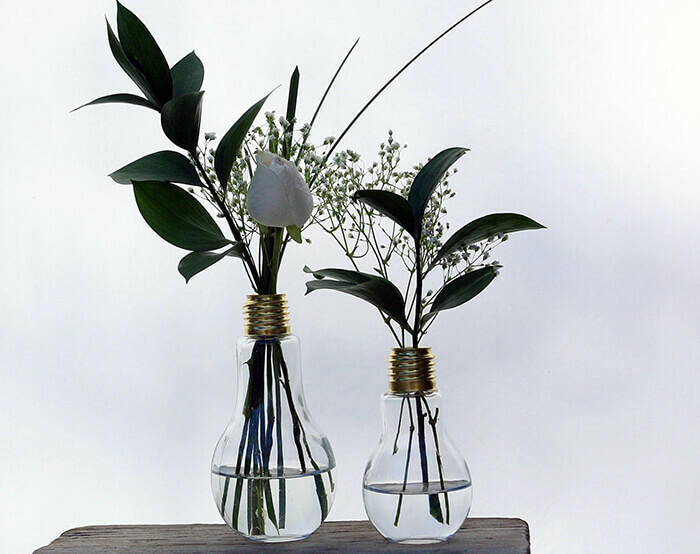 Large vase 6in x 3.5 Would make a great simple yet stylish centerpiece and is ideal for holding a single flower or small grouping.This is a upcycled piece made from durable glass. The lid to screw off for easy cleaning. 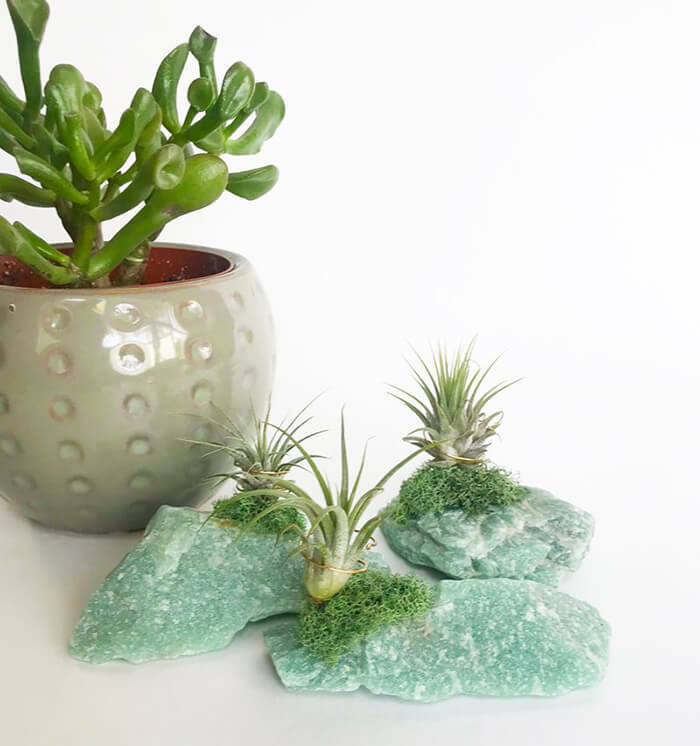 These beautiful gold dipped agate stone air plant holders are the perfect gift for yourself or for anyone else who wants to add a little bit of nature in their home or office. The air plants are not glued to the stones. Instead they are perched on a delicately wrapped gold wire on the edge of the agate stone. The air plant can be easily taken in and out of the wire to be watered. This amazonite measures around 3″ width and 2″ height. 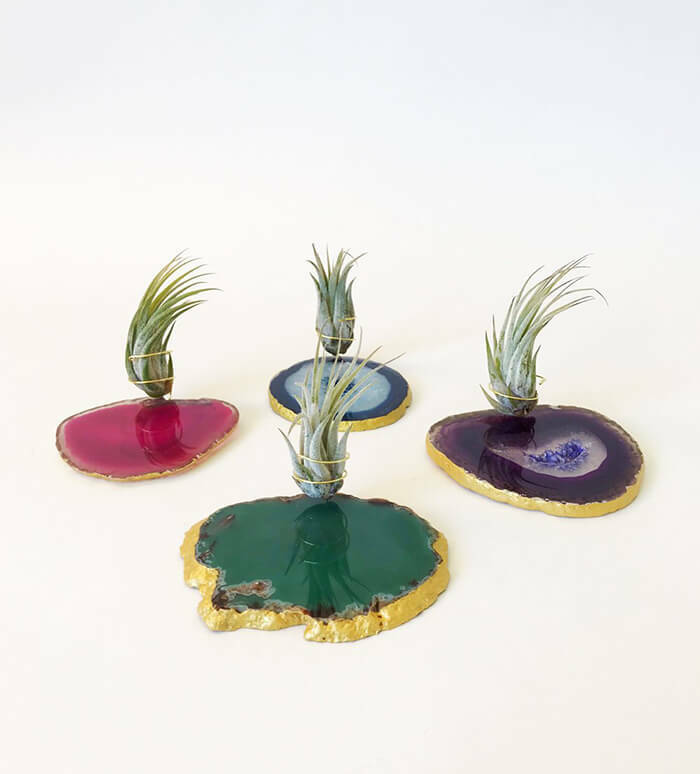 The air plant is approximately 3-3.5″ tall. The air plant is perched on a delicately wrapped gold wire on the edge of the amethyst cluster. This beautiful green/blue raw amazonite air plant holder is known for its healing properties to help you move beyond the fear of confrontation or judgment so you can freely pursue and express your true self.